From showing off your wedding ring to clutching your bouquet, your hands get a lot of attention on the wedding day. Make sure your nails are ready to be in the spotlight. There’s a lot to consider, including colors, the timing of your appointment, and what to avoid. 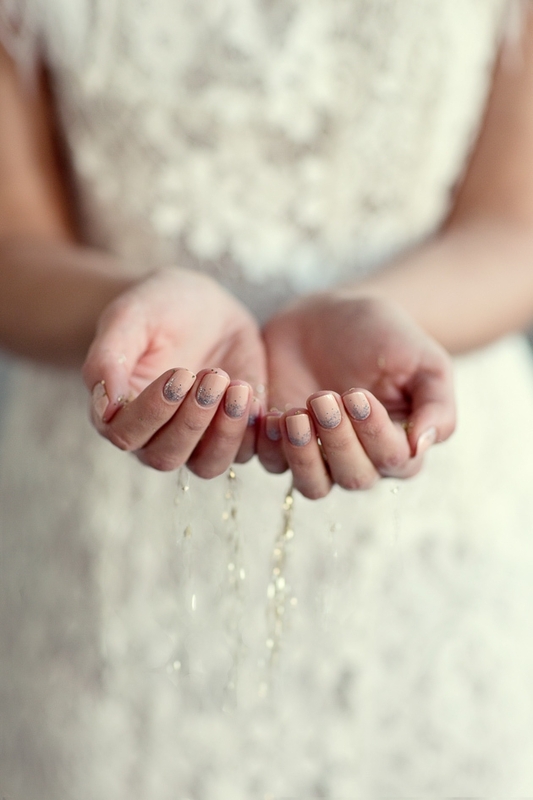 Read on as we share the Dos and Don’ts of nailing your wedding manicure. Try out different nail colors way before the big day so you can find the right one. You don’t want to grab any shade at the last minute and later regret how it looks. “Not all pink polishes are the same on every skin color, so it is essential to try out the nail color a couple weeks before to make sure you like the color,” says Abby Ferguson, nail technician and licensed esthetician at SpaBlue at Del Mar, who suggests having your spouse-to-be taking a few photos of your hands to see how your manicure might look in wedding photos. Do get your nails in shape. What’s your ideal mani? Rounded tips? A square shape? Or something pointy? 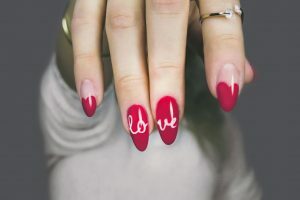 “Nail shapes can be very trendy,” says Mylynn Nguyen, also a nail technician and licensed esthetician at SpaBlue, who says it’s common to get a different nail shape for the wedding than the shape you typically wear. Try out different styles to see which one you want for your nuptial nails. Even if you love bright pinks and bold blues, hold off on showy colors for your bridal mani. Bold hues can be distracting from you, your ring, your dress and your flowers. “Lighter colors wear better and are a great compliment to any wedding colors,” says Ferguson, who recommends pale pinks, neutral lacquer colors, and French Tips. Do make sure your mani and pedi match. Do be ready for touch-ups. A smudge, a chip, or a ding can blemish your nails. Once you decide on the perfect polish, buy a bottle for a touch-up if needed. Even with a gel manicure, you probably won’t need touchups, but it’s best to be ready just-in-case. Don’t get a gel mani too far in advance. Sure, gel manicures last up to a few weeks, but that doesn’t mean it’s going to last if you get one two weeks before the big day. Make sure to book your manicure and pedicure appointments the day before the wedding, which will limit the chances of you doing some serious damage. Don’t spray tan AFTER your manicure. Don’t take a soak in the tub. A bath may seem relaxing the night before the wedding, but it’s not a good thing for your nails…the hot water can cause your nails to chip or crack. After all the time you spent getting your nails done, that’s the last thing you need to happen at the last minute! Don’t do any house cleaning. While you probably won’t be scrubbing the sink right before your wedding, steer clear of any house cleaning once you’ve gotten your bridal mani. “Hold off on cleaning, washing dishes or gardening for one to two days to keep your nails and cuticles looking their best,” advises Nguyen.